Today I am escaping. Life is overwhelming me, it happens sometimes. I had plans but scrapped them due to my terrible mood. I didn't want to bring that negative energy to something intended to help heal and mend. So I stayed home and tried to drown my personal sorrows in Netflix. Cue the violins because here comes my "reason," "excuse," and otherwise "explanation" for being a bad-mood-dude! Heard of the chicken and the egg phenomenon? Well, that’s how Depression and Fibromyalgia are connected. Which comes first? That’s a matter of debate. Recently, when discussing some of my FM (FibroMyalgia) symptoms with my father he asked me, “Have you been diagnosed clinically depressed?” Um. Yeah. Like 15 years ago and I’ve been battling that illness all this time. Mostly with medications so my “crazy”-ness is less noticeable unless I don’t take my meds—which I’m not right now, just got a new prescription today. Granted stress and other issues/obligations are part of the equation and since I only have three kids at home right now (technically, except Princess is here and not as much "help" as you might think... Just say'n.) I guess I think I can “handle it.” How is that going? Well, let me tell you, not great. I had Shingles three times. Yep, I’m under 50 and I got Shingles 3 times. Three. Times. The first time I missed my niece’s wedding (husband’s side). The second time I missed my other niece’s wedding (my side). The third time I didn’t take the anti-viral in time and it is still with me. That means that I get “phantom” pain at my “Shingles site” and it feels like pins and needles being poked into me. I take a med for that and it helps (Gabapentin). The other stuff that gives me the FM diagnosis? I take OTC pain relievers for that. Those include sciatica and general “arthritis” like pain pretty much all over my body. Including migraines. It’s random and differs in severity on a daily and weekly basis. It’s my excuse for not keeping my commitment to write in my blog every day. It’s my excuse for not getting housework done. It’s my excuse for not making my bed or carrying laundry baskets up and down the stairs. It’s my excuse for not exercising. Most days I am barely functioning so it is a valid “excuse” …erm, reason. I like the term “reason” better than “excuse” because it’s not always that I Do Not want to do those things but If I Do then I know I will be in such severe pain, for days possibly, and it’s just not worth it to me. That’s the difference. A few things I have learned about my body which may or may not be related to the FM/Depression diagnosis also plague me. I just read that Costic chondritis is a side effect of FM. Huh. I was diagnosed with that “weak/lazy-man’s” asthma-like condition in my teens. Interesting, right? I know I suffered from Depression in my pre-teen and teen years, so is that because I had FM already? I’m curious about this. Does this exempt me from my “lazy” life? I don’t know, but I do know that it is a battle I am here and now fighting with a good fight. Here I am, I’m telling you this “inner-most secret” about myself because this is part of my goal for my writing and my blog. If you suffer from this kind of debilitating pain and dis-ease, you are not alone. I know I need to hear that a lot. I need to hear that I really am not “lazy” but that I am ill and as an illness I have hope for, maybe not a “cure” but for ease from my symptoms. I have to have hope. I just have to. I hope that if I exercise (stretch/do yoga/walk) that I will be eased from my symptoms and my FM can be managed. I hope that if I talk with a doctor I can get the right medications to ease my pain on a more regular basis. I have hope that someday I can live in a house that does not have stairs so some of the work I have to do can be done by me and I don’t have to rely on my family (kids). I have hope that my quality of life will improve and I can feel productive again. Yes. Because Hope is the opposite of Fear which exacerbates my Depression and depresses my spirit (I mean gumption, not my “Spirit”) and feeds the FM. So, in essence, I’m back. Back with a vengeance. Okay, it's a saying. I don't really have any "venge" for anyone, except my stupid body for not doing what I want/need it to do. I keep avoiding posting to my blog because I don't know what to say. I feel bad because I committed to posting every day for a year and I've been neglectful for several weeks. I don't have a "good excuse." I've written a few things --as explanation-- but not sure it matters so I'm just going to jump in where I am. 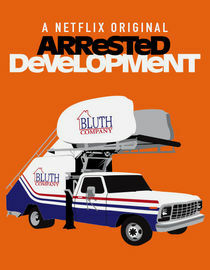 So, I've started watching Arrested Development. I haven't watched the new season that's only available on Netflix because I'm one of those that doesn't like to jump in at the end of the game so I'm starting from the beginning. I'm currently on Season 2. I'm a little obsessed and cannot stop watching. Ugh. I don't mind so much but it's distracting, to say the least. I read entire series at once because I can't stand the suspense. And here I am watching complete series. Recently I "absorbed" Call the Midwife and all of Mad Men and now I can't watch the new season because we don't have regular TV. Another series I'm addicted to is ending tonight, Psych. I buy the episodes via Amazon because we can watch those via our Samsung Blu-Ray player. 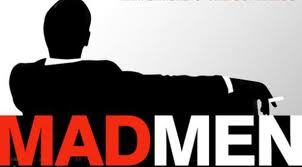 I suppose I could buy the Mad Men episodes and also, The Glades --all of Season 3-- which has yet to be released via Netflix. Ugh, so frustrating. With summer break starting soon I hope to watch all of the Star Trek (original and TNG) TV episodes as well as introducing (indoctrinating?) my children into Doctor Who. I'm not quite convinced yet but I hear so much about it and being a student of story, I'm interested to see what all the fuss is about. Oh, and yes, I'm still watching Buffy (Season 5) and Angel (Season 2). I do have other things to do. I surround myself with my "To-Do" list, including my sewing, knitting and currently, about four loads of laundry to be folded. Yuck. Sunshine has three dates this weekend with three different guys. Booyah! Snap is working hard (maybe?) and practicing for a musical performance on Friday. Pop is at Six Flags Magic Mountain with Princess today. And stay tuned! We have an exciting addition coming to our family!